As the techniques adopted by criminals become increasingly sophisticated, more Canadians are falling victim to financial fraud, the impacts of which can be devastating. Being defrauded is a very real (and realistic) fear for many Canadian clients and advisors have an important role to play in helping their clients avoid financial loss and the associated stress. A recent TD survey found that 85% of Canadians worry about themselves or their loved ones becoming a victim of financial fraud and 37% worry that their elderly family members are too trusting, and that their children are unaware of the risks. “Debit card, credit card and cheque fraud are more common because of sophisticated approaches that target emotion as well as transactions," says Mushtak Najarali, Senior Vice President of Everyday Banking Products at TD Bank Group. Although most Canadians know the basics of protecting themselves, like not sharing their PIN or SIN with a stranger, providing their credit card number on an unsecure site, or clicking an unknown link in a text message or email, fraudsters are finding new ways to trick people into sharing passwords and bank account and credit card numbers. In order to get this sensitive information, criminals are using a new set of deceptive techniques, including communications appearing to be from a trusted source (spoofing), telephone calls (vishing), text messages (smishing), devices that steal your information (skimming), and e-mails disguised as legitimate communications (phishing). 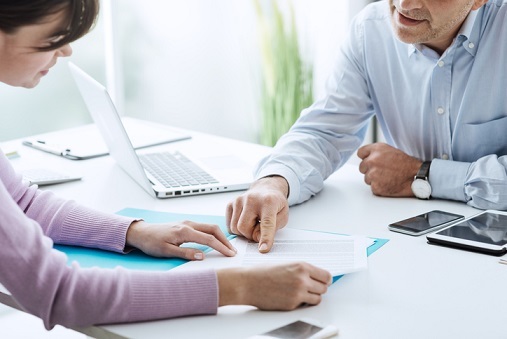 Here are some top tips that all advisors should be sharing with their clients, regardless of their age, income, occupation or perceived awareness of fraud concerns. Pay attention to fraud alerts – More banks are now sending ‘fraud alert’ text messages to their clients when any suspicious activity is detected on their accounts. Although it can be easy to dismiss bank communications as marketing efforts, tell your clients not to ignore these texts. Don't be fooled by phishing – This is a really important one. Urge all of your clients (especially the less tech-savvy) to exercise caution when receiving unsolicited e-mails that contain attachments or ask the user to click a link and provide sensitive information. No financial institution will ask for that type of information through an unsolicited e-mail. Is it real? – If your client receives an unexpected cheque for a large amount of money, it’s most likely fraudulent. In this instance, advise your client to call their financial institution or, if you want to really add some value, tell them they can reach out to you. Check statements and online accounts regularly – This will alert your clients to fraudulent transactions more quickly and minimize the ramifications of the potential fraud. Daily reconciliation – It may seem like a pain but reconciling all business banking transactions daily is a smart idea. Again, it’ll let your client know as early as possible if a fraud has taken place. Cheque awareness – Although it may seem a bit old-school, cheque fraud is a very real threat. Advise your clients to centralize cheque issuing, use the latest security features on cheques like chemical protection, padlock icons and always use Magnetic Ink Character Recognition Serial Numbers (MICR) on business cheques. Use the security features – Tools like CVV validation or billing address verification services are available on most payment networks and should be utilized. Services like Verified by Visa® or MasterCard® SecureCode also add an extra level of security and provide protection from fraud-related chargebacks.